ABSTRACT: The article analyses some key points of the maior papal social encyclicals from the point of view of labour law. It fi nds that all the most important rights recognised by labour law are in accordance with the encyclicals, and often have been upheld by encyclicals before being embedded in national employment laws. The extraordinary convergence between labour law and social encyclicals is explained by the common foudations of both, which is the dignity of the worker as human being. In conclusion, the Author expresses the hope that the dialogue between labour law and social encyclicals might continue for the mutual benefi ts of both, and the better protection of the workers. KEY WORDS: papal social encyclicals, labour law, dignity of the human being, wages, working time, freedom of association, trade unions. SOMMARIO: 1. Una lettura «laica» delle encicliche sociali – 2. Il riconoscimento del valore del Diritto del lavoro – 3. La legittimazione del contratto di lavoro – 4. La legittimazione dell’associazione sindacale e lo sciopero – 5. La dottrina della giusta retribuzione – 6. Condizioni di lavoro e legittimità dell’intervento dello Stato. a) Orario di lavoro e obbligo di sicurezza. b) Lavoro dei bambini e delle donne. c) Il riposo settimanale – 7. La dottrina della dignità nella Rerum novarum e nella Laborem exercens – 8. La partecipazione – 9. Il principio di sussidiarietà – 10. Diritti del lavoro e diritti umani. Il diritto al lavoro. L’occupazione – 11. Conclusioni. ABSTRACT: In 2011 Italy celebrated its 150 years of national unity. Notoriously, the stages of this history are: the liberal State (1861-1922), the fascism (1922-1943) and the democratic republic (from 1943-1946 on). The partial continuities that exist between these different stages and with the long past of the country are overwhelmed by the differences. This study analyzes the characteristics of each period and shows the principal features and the great values of the constitutional State founded by the constituent assembly of 1946-48. It describes the events of the rich although diffi cult implementation of the constitution during the six decades after its enforcement and stresses the present crisis and the strong resistance affecting the constitutional State, proposing a deeper «republican faith» as the spiritual solution of this crisis. KEY WORDS: liberal State, fascism, constitutional State, implementation, crisis, resistance, republican faith. SOMMARIO: 0. Introduzione – I. Lo Stato liberale – 1. Unità, nazione, costituzionalismo liberale – 2. Il principio monarchico – 3. Un parlamentarismo imperfetto – 4. Autoritarismo e insuffi cienze degli apparati del quotidiano – II. Il regime fascista – 5. Il modello totalitario – 6. Persistenze, modernizzazione, strumentalizzazione degli apparati – III. La Repubblica – 7. La costruzione dello Stato costituzionale – 8. La Costituzione tra congelamento e sblocco – 9. Sviluppo costituzionale e tentazioni di arretramento – 10. Crisi e resistenza costituzionale – 11. Un credo repubblicano. ABSTRACT: Building on the seminal essay «Problema e sistema nella controversia sul metodo giuridico» the article analyses the essence of the methodological approach of Luigi Mengoni, which is found in the revaluation of the topical thought in its interaction with the legal dogmatic, the concept of «living law» as the way in which the constitutional Court partecipates in the formation of constitutional law and the revaluation of a hermeneutic consciuosness to build a new legal order. KEY WORDS: topical thought, legal dogmatic, hermeneutics, «living law», constitutional argument. SOMMARIO: 1. Pensiero topico e tradizione ermeneutica – 2. La dogmatica e il sistema giuridico – 3. Per una «dogmatica dei valori» – 4. «Diritto vivente» e formazione del diritto costituzionale – 5. L’esemplarità dell’opera metodologica di Mengoni. ABSTRACT: The Author fi rst of all demonstrates that Luigi Mengoni, ever since his writings on obligations in the 1950s, kept the idea at the forefront that developing legal rules presupposes their evaluation by jurists. It is just this evaluation which modern theorists of the method must rationalize, in order to monitor the decision of disputes. Mengoni was convinced of the need to examine this aspect in depth, through his study of employment and labour law and, in particular, the problems brought about, in the European context, too, by the spread of Taylorism. Gino Giugni, especially, knew well, and ahead of his time, to address the issue before establishing the system of legal rules. In the essay which is the subject of this re-reading, Mengoni, following the movement which was re-evaluating practical philosophy, therefore developed the theory of a relationship of interaction at all levels, between themes which were specifi cally legal and those of a practical kind. Recently this thinking has been exploited by a new dogmatism, conservative in nature, holding that M. mistakenly theorized that the determination of disputes should be based exclusively on the feasibility of integrating the judgment itself within the existing system of conceptual law. The essay reveals the extent of this exploitation. KEY WORDS: legal reasoning, ruling of employment disputes. SOMMARIO: 1. Premessa: un «classico» del pensiero giuridico – 2. Luigi Mengoni ed il metodo «prima» del saggio del 1976 (nella scia di Goldschmidt): il punto di vista del giudizio – 3. Luigi Mengoni e i problemi del lavoro «prima» del saggio del 1976: prima il problema poi il sistema – 3.1. L’organizzazione scientifi ca del lavoro – 3.2. La clausola di pace sindacale – 4. L’acquisizione della coscienza del metodo ovvero il tentativo di rifondare il discorso giuridico (nella scia di Esser e Canaris) – 5. Il saggio del 1976 ed i problemi del rapporto di lavoro – 6. (segue) I fraintendimenti giuslavoristici del saggio del 1976: l’orientamento neo-dogmatico – 6.1. La diatriba sul licenziamento economico – 6.2. La diatriba sul metodo di qualifi cazione dei rapporti di lavoro – 7. Conclusione: il punto d’incontro tra Luigi Mengoni, James Goldschmidt e Hugo Sinzheimer. ABSTRACT: After having summarised the logical path, followed by Luigi Mengoni in the essay in the title, the Author focuses on the salient points: fi rst of all, in the historical context of the Sixties, and then in the context of later periods up to the present, which is strongly affected by the epochal changes brought about by the globalization and the technological revolution. The Author thus try to use the method of Mengoni in the current context, referring also to other works of the Master, who devoted great attention to the delicate problem of the relationship between law, ethics and economics. KEY WORDS: juridical form and economic substance, law and economy, economic constitution, art. 41 of the Italian Constitution, economic planning and contractual autonomy; globalisation; global legal regulation of the economy. ABSTRACT: This article analyses regulated professions in Europe. It observes that, historically and philosophically, due opposite models have emerged: those of the free competition and monopoly, respectively. Especially in continental countries, most regulated professions do not fall within general rules concerning the delivery of services , but are placed under «ad hoc» rules limiting free competition. However, the article argues, fi rst, that the positive norms of the EU and the case-law of the European Court of Justice have gradually undermined the assumption upon which most national restrictive rules were founded, that is to say the coincidence between the market and the State. Second, and as a result, EU law has restored the equivalence of diplomas. Finally, and consequently, national legal orders of regulated professions are evolving towards a more competitive framework and, at the same time, one that prevents the abuse of rights. KEY WORDS: regulated professions, liberalization of services, equivalence of diplomas, freedom to choose a profession, prohibition of the abuse of rights, law and economics. SOMMARIO: 1. Premessa problematica – 2. Ordine isonomico e ordine asimmetrico – 3. Le professioni in Europa: varietà di modelli – 4. Limitazioni delle asimmetrie nel mercato unico europeo – 5. Equivalenza dei titoli professionali: il divieto di abuso del diritto. ABSTRACT: The paper analyses, at fi rst, the regulation of professions in Italy, bringing to evidence the public asset of this regulation. At a further step the study takes into consideration the comparison between the regulation of professions in civil law and common law countries, analyzing especially the case of France, Germany and Spain compared with United Kingdom. The study tries, at least, to fi nd a proposal for an alternative to public regulation in the Italian system of professions. KEY WORDS: profession, professional bodies, civil law, common law. ABSTRACT: The Ordini professionali are private or public bodies? This is the question. Despite various courts, majority of doctrine and some legislative expressions, that are pro public-law associations, the Author tries to demonstrate that, according to the sentences of the Constitutional Court, the compulsory regimentation and the privileges, both at the bottom of the public nature, don’t have reason to be justifi ed in front of the inhibition of freedom of association (which implied freedom not to associate). There is, above all, a lack of fairness, depending on the confl ict between group’s interest and public interest, that provocates a violation of the Constitution. KEY WORDS: private-law organisation; public-law organisation; professional association; freedom of association; compulsory regimentation; fairness. SOMMARIO: 1. Premessa – 2. Gli ordini professionali quali enti pubblici – 3. Alcune indicazioni di segno contrario – 4. Alla ricerca delle ragioni della pubblicità: la tenuta degli albi professionali; la riserva di attività; l’associazionismo obbligatorio – 5. Libertà associativa versus obbligo di iscrizione all’ordine professionale – 6. (segue) I principi costituzionali violati: il principio di imparzialità – 7. (segue) Il principio di legalità – 8. Concludendo. ABSTRACT: The essay analyses the problems of integration of the professional rules into the State legal system on the basis of decisions of the Italian Supreme Court. KEY WORDS: professions, ethics, rule of law. SOMMARIO: 1. Il nuovo indirizzo della Cassazione in tema di norme deontologiche – 2. Le ricadute del nuovo indirizzo – 3. L’assorbimento nell’ordinamento statale degli ordinamenti infrastatuali – 4. Le ragioni del cambiamento: il mutamento del contesto – 5. (segue) La tutela dei diritti nell’ambito endoassociativo – 6. (segue) I diretti precedenti del mutamento di indirizzo della Cassazione – 7. Le perplessità della Cassazione sulla qualifi cazione delle norme professionali – 8. La qualifi cazione proposta nella sentenza n. 26810 del 2010 – 9. La qualifi cazione proposta nella sentenza n. 9097 del 2005. ABSTRACT: The paper deals with two main features of the current regulations about disciplinary measures taken by the special jurisdiction exercised by professional associations The fi rst one concerns the lack of guarantees of fairness and impartiality, which infringes the constitutional right to a fair trial. The second one is about the (limited) role played by third parties in the disciplinary proceedings, with particular reference to the participation in the procedure, the right to access to documents, and the right to contest the adopted measure. The aim of the paper is to underline the need to renew the existing rules about the activities of professional associations, in order to make this bodies compatible with the constitutional values and the social claim to the reliability of the members of professional categories. KEY WORDS: professional associations, disciplinary proceedings, special jurisdiction, fair trial, participation in the procedure. SOMMARIO: 1. 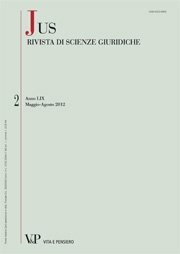 Premessa: natura delle funzioni esercitate in materia disciplinare e garanzie costituzionali di indipendenza e imparzialità – 2. I modelli sanzionatori tra procedimento amministrativo e processo giurisdizionale – 3. L’inadeguatezza costituzionale dei sistemi sanzionatori più risalenti nel tempo (in particolare, il caso delle sanzioni disciplinari degli avvocati) – 4. Procedimenti disciplinari, garanzie partecipative e poteri dei terzi – 5. Conclusione: per un rinnovamento del ruolo degli ordini professionali.